Hurricane Matthew hit the rural community of Wopisa-Gabriyèl, Haiti, hard last October, leading Mennonite Central Committee (MCC) to respond to sanitation needs identified by community leaders. But beyond the damage to animals and crops was the increased risk of cholera caused by the intense rains washing cholera-infected human waste into the streams and rivers that are used for bathing and drinking. Cholera, a bacterial disease that causes severe vomiting and diarrhea, was introduced to Haiti in 2010, when the contaminated waste of UN peacekeepers was discharged from improperly built latrines into Haiti’s main waterway, the Artibonite River. Cholera spread like wildfire through the country, killing more than 10,000 people. People in the Artibonite were especially affected. 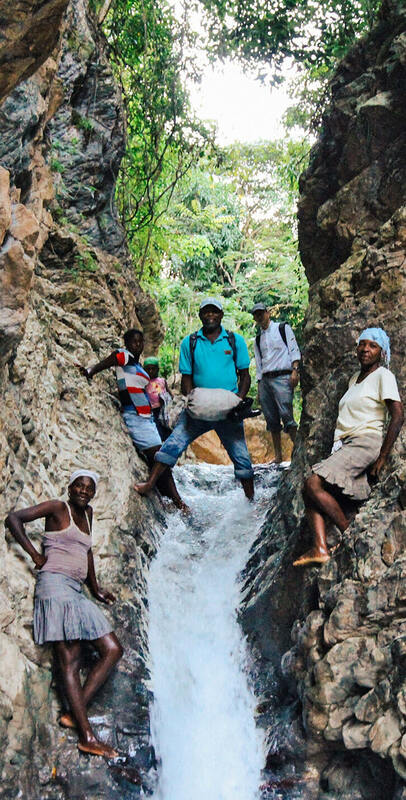 In Wopisa-Gabriyèl, a community wedged among several mountains in the Artibonite region, a small creek feeds into a larger river. The absence of latrines means the 1,500 residents practise open defecation, dramatically increasing the risk of cholera exposure. “When it rains, everything runs down into the water and contaminates the springs. It infects our drinking water, our gardens and our food,” says Roseline Pierre-Louis, a community health worker. Once contracted, cholera can kill quickly if treatment isn’t received, but reaching medical care is very difficult from this remote community. The quickest route requires descending a waterfall on foot. To reach the nearest medical facility takes three hours on foot and up to six hours if one is sick. Sometimes people have to be carried by others on makeshift stretchers or mattresses. The community has long known of a relatively low-cost solution to protect its water source and its health: the installation of latrines. 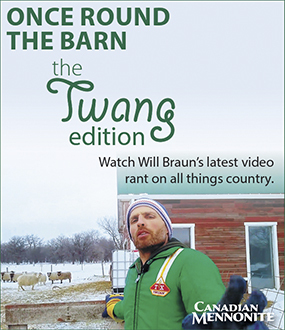 For subsistence farmers, though, the materials to build latrines are too expensive. After the hurricane, MCC met with people in Wopisa-Gabriyèl to discuss how they might work together to address the community’s needs. The community identified latrine construction as its most pressing need. “We can’t drink our water safely. We can’t care for our children. We can’t protect our families,” says Pierre, noting that the community saw better sanitation as a necessary building block for both short- and long-term recovery and for improving their community. 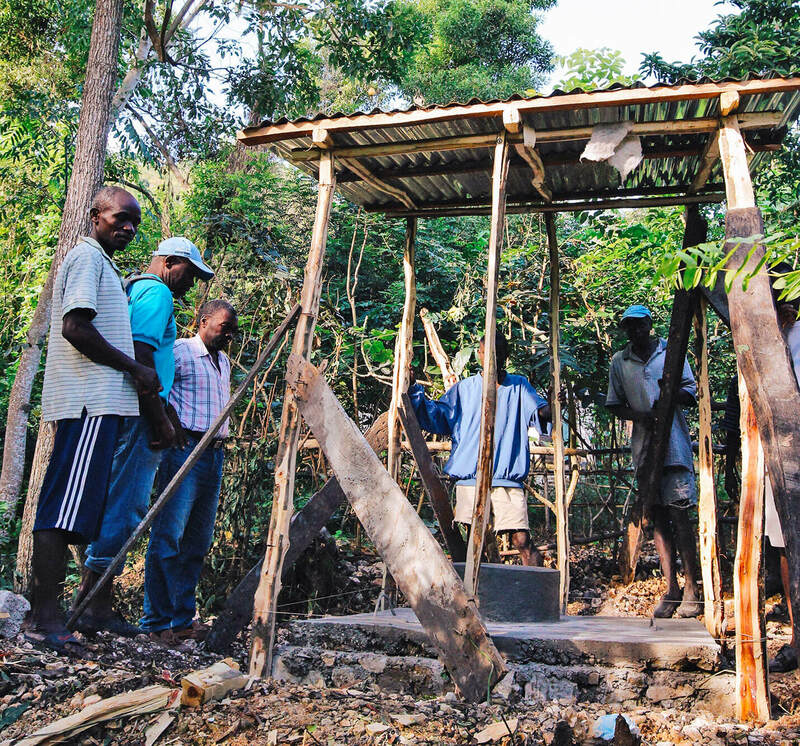 Even though community leaders rank latrines as a high priority, the government of Haiti has withheld approval of almost all new latrine projects by non-governmental organizations because too many were poorly designed and did not have community input. Because MCC planned, designed and implemented this project in partnership with local people, the government officials approved it. MCC provides the supplies for the simple, solid latrines, and a local expert builder to direct the construction. Then community members transport the materials and form neighbourhood work groups to complete the labour and construction. In total, 450 latrines will be built for 90 percent of the residents who can’t afford to build their own. The benefits of this project extends beyond Wopisa-Gabriyèl. Because the community rests at the source of a spring, downstream communities will be protected as well. The first phase of building 250 latrines is nearing completion. As part of its ongoing hurricane response, MCC will be working with other remote communities at high risk of cholera by building a total of 630 latrines serving more than 5,000 people.